I bought these brake levers new in the bag a year or two ago, but couldn't find them earlier this year when the bicycle was reassembled after it was painted and upgraded to “Sportinental” standards. 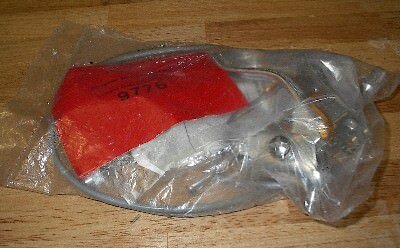 I do not know if 9776 is the correct part number for a Schwinn Sportabout's brake levers, but these are NOS Schwinn road bike parts that are still in the bag with an instruction sheet. My shift levers wore out this year, not surprising considering how old they are and how many miles I put on this bicycle the past twenty years. These are NOS replacements identical to the style that were on the bicycle when I got it. However, they are not correct for a stock Schwinn Sportabout. I ordered these over the phone from Bike Heaven, a classic Schwinn shop in Pennsylvania run by Craig Morrow from his home. 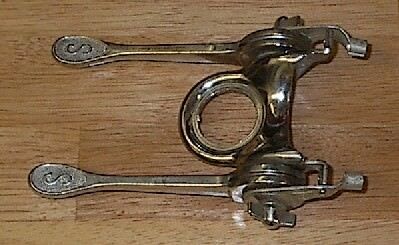 This is a NOS spoke protector common to Schwinn Krate and other bicycles. 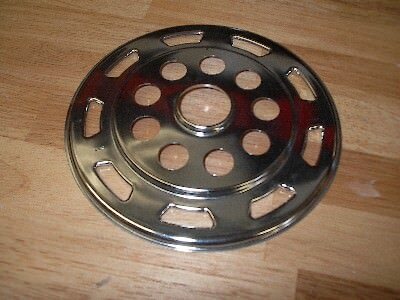 It appears identical to the one that is on my quick-release rear wheel, but without the chain scrapes. The existing spoke protector is also slightly warped and sometimes rubs when the bicycle is in first gear. This part also came from Bike Heaven. I won an eBay auction in early August, 2003. It arrived in my mailbox the same day as the shift levers above. 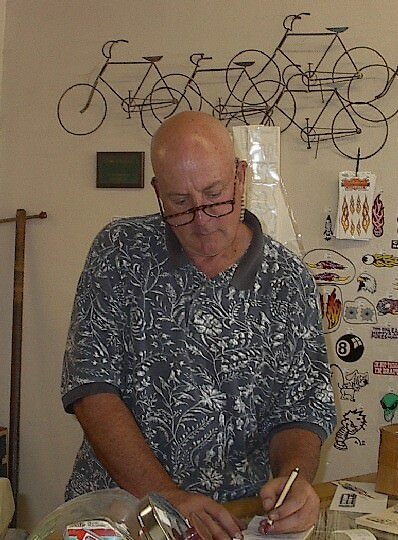 Dave is “da bomb” for fixing and adjusting bicycles! His store is Cloverdale Cyclery. He does not provide old Schwinn parts, but he has much experience working on old Schwinns. all photographs on this page are from August 15, 2003 . On August 20, I took pictures of these parts as installed on the bicycle.